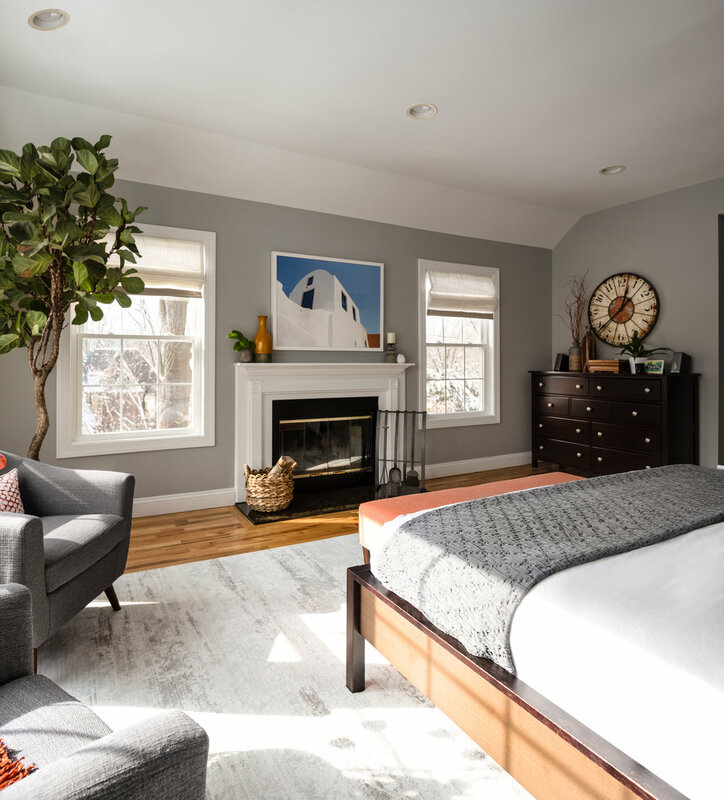 The master bedroom of this home had grown tired and dated and in desperate need of a refresh. 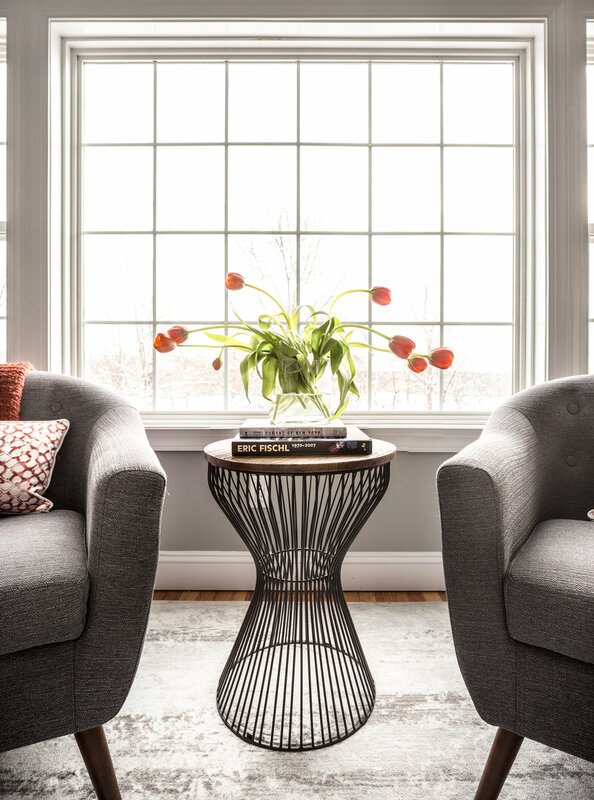 With golf course views and a huge picture window light was not an issue, so we painted the walls a medium gray to create this cocoon-like space. We kept the existing bed and refinished the nightstands, and added in a seating area, custom rug, window treatments, bench and custom bedding. 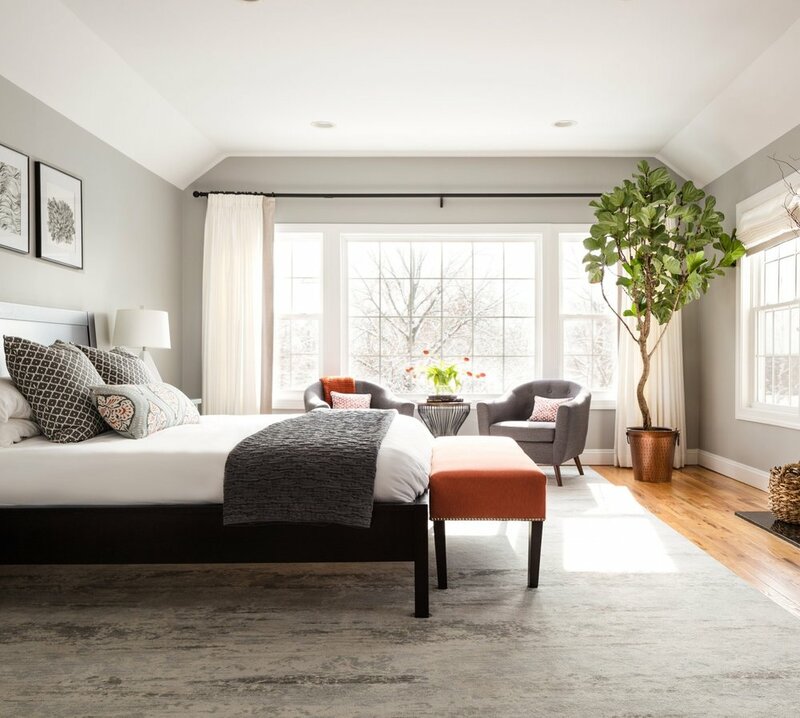 Voted one of the Top 10 Most Downloaded Master Bedroom Images on Houzz!